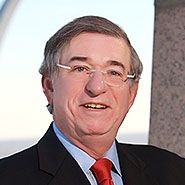 On December 8, 2015, Albert S. Rose was appointed disciplinary hearing officer for the Supreme Court of Missouri. As disciplinary hearing officer, Al will be tasked with resolving conflicts and dispensing justice. He will, in many cases, act as both judge and jury by making the determination as to the facts in a particular case, in addition to the ultimate decision as to the appropriate laws, rules, and regulations to be applied. Al's practice focuses on sophisticated estate, tax, and business planning for the general representation of individuals, families, and closely held family-owned businesses, both large and small. Throughout his career, he has counseled business and individual clients in a manner that emphasizes preventive actions to problem solve and achieve successful personal, tax, financial, and business outcomes involving all facets of a legal and tax situation.